LWC Friends get announcements and exclusive deals! 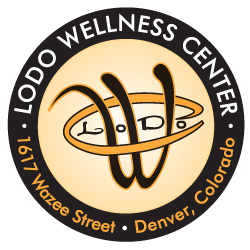 LoDo Wellness offers an exceptional personalized touch and is Denver’s most distinguished dispensary in the Lower Downtown Historic District. Conveniently located on the 16th Street Mall, just one block away from Union Station and easily accessible by free shuttle service. LoDo Wellness Center is a Proud Pioneer in the Recreational Sales of Marijuana in the state of Colorado. NO DOCTOR REQUIRED, JUST VALID ID. At LoDo Wellness Center, we care deeply about compassionate care and a menu curated from the finest artisan cannabis producers in the state of Colorado. TAKE THE TRAIN TO WELLNESS. ONLY ONE BLOCK FROM UNION STATION. Conveniently located on the 16th Street Mall, LODO WELLNESS CENTER is one block away from Union Station, and easily accessible by free shuttle service. We are surrounded by some of Denver’s best hotels, shopping, bars and restaurants. First time dispensary customer here. Got off the plane came here and I have to say, if all the dispensaries that exist we’re as good as these guys as far as info, enthusiasm, and service. There wouldn’t be any more bad reviews for this type of establishment. And there are plenty. Get the eureka vape, can’t miss. First time dispensary customer here. Got off the plane came here and I have to say, if all the dispensaries that exist we're as good as these guys as far as info, enthusiasm, and service. There wouldn't be any more bad reviews for this type of establishment. And there are plenty. Get the eureka vape, can't miss. Follow us, friend us feel free to connect with us any time!